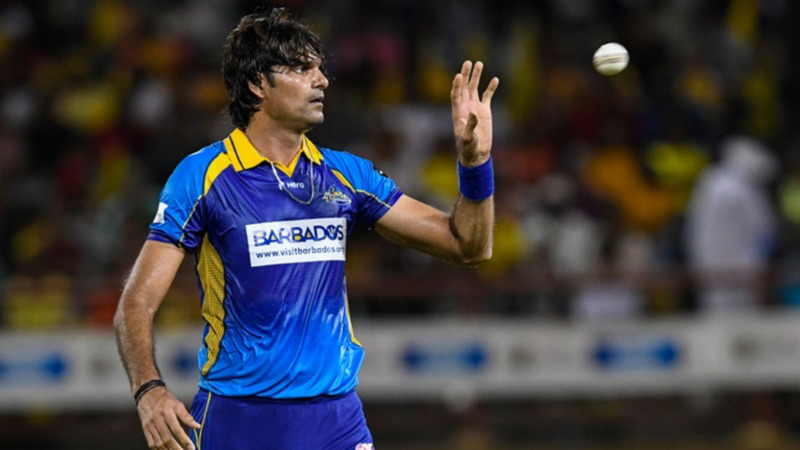 A record-breaking bowling spell from Mohammad Irfan proved in vain as St Kitts & Nevis Patriots chased down Barbados Tridents’ 147/6 to complete a six-wicket Hero Caribbean Premier League (CPL) victory despite the big Pakistan fast bowler conceding just a single run from his four overs. That solitary run was scampered by Brandon King from the final delivery of Irfan’s mesmerising four-over spell with the new ball. Despite narrowly missing out on a shutout, Irfan does now possess the most economical figures for a full four-over allocation in the history of all T20 cricket, beating the previous record of two runs conceded held by Chanaka Welegedara and Chris Morris. For good measure, Irfan also removed both Patriots openers caught behind, with Chris Gayle falling to the very first ball of the innings and Evin Lewis following in his next over. Irfan finished his night’s work with the scarcely believable figures of 4-3-1-2. Yet it wasn’t enough. King and Devon Thomas, having struggled just to lay a bat on Irfan, found things much more to their liking after his spell came to an end. They suddenly roared into life. After the first 42 balls of the innings brought only 18 runs, the next 30 brought an equally unbelievable 75 as the game was turned completely on its head. Steve Smith’s second over, the 10th of the innings, was bludgeoned for 27 runs including four huge sixes. After the Carib Drinks Break, Raymon Reifer was promptly taken for 22 more. A required rate that had started below 7.5 and then rapidly ballooned above 10 during Irfan’s miraculous spell was now below seven an over. King completed a 42-ball 50 having made just 14 from his first 27 deliveries. Wahab Riaz – whose own figures of 1/17 from 3.5 overs would have been eye-catchingly economical on a normal night – did send Thomas’ middle stump flying but by now the Patriots were cruising. By the time King fell for 60 from 49 balls the required rate was below a run a ball, with Ben Cutting adding to his two earlier wickets with an unbeaten 29 to see his side home in the 19th over. 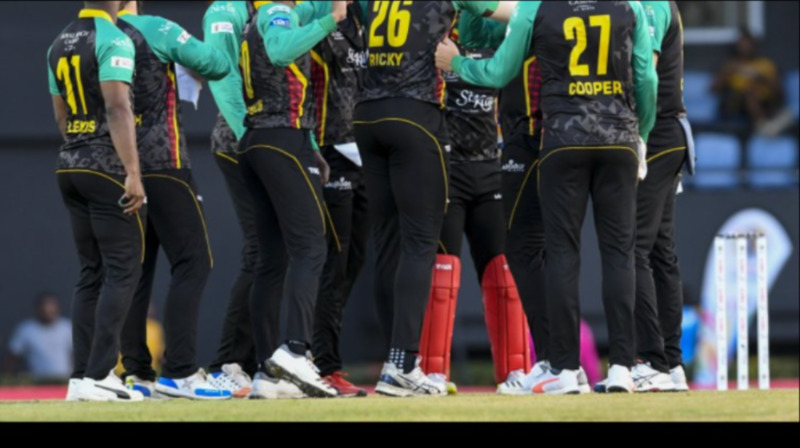 The Tridents’ own progress with the bat had twice been halted by losing two wickets – and two set batsmen – in successive balls. The first instance owed everything to brilliance in the field. First Anton Devcich threw down the non-striker’s stumps with Martin Guptill (19) stranded after a mix-up with Dwayne Smith, but better yet was to come next. Smith (20) looked sure to have cleared the boundary with a mighty heave into the legside, but the ball held up in the wind and was outrageously caught one-handed high above his head by Lewis, who then had to keep his balance to stay just inside the rope. It was a stunning moment, but deserved reward for Cutting who gave up just 18 runs for two wickets in his four overs despite returning to bowl the last of them at the death. 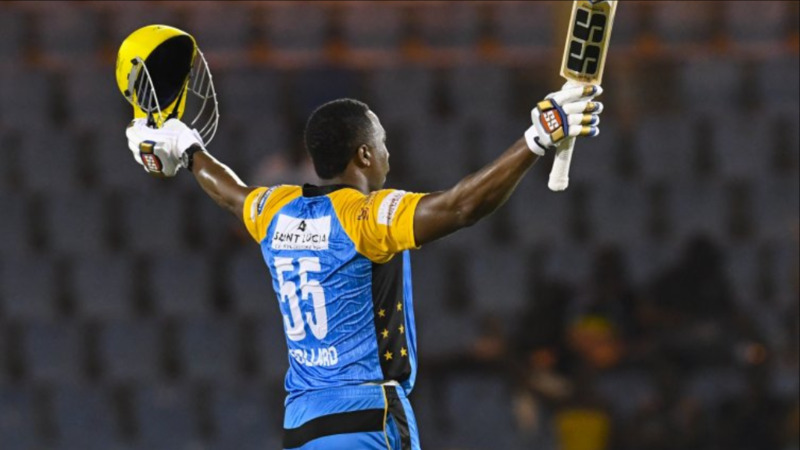 Devcich was the bowler for the second double strike which came after a fine partnership of 87 between Shai Hope and Tridents captain Jason Holder, who blasted 54 in 35 balls to provide much-needed impetus to the innings. Guptill and Dwayne Smith had been watchful in the Power Play, and Barbados had only 54/2 to show for their efforts at the halfway stage. Hope (26 from 24) and particularly Holder stepped on the accelerator as 39 runs came from the next three overs. Both were caught in the deep, though, early in the 18th over to rob the Tridents’ innings of momentum at the death. The Tridents therefore looked a touch short of a par score and, despite Irfan’s very best efforts, so it proved.